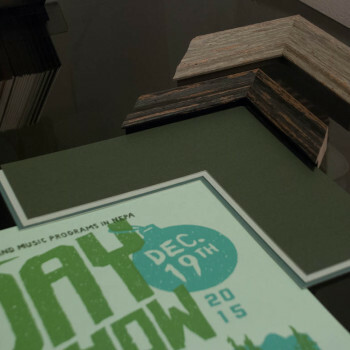 You don’t need to have a one-of-a-kind, signed print to come down to our conservation frame shop! Once a method used primarily by museums to preserve valuable, historic artwork, Conservation Framing has become more mainstream than ever. Photographs, jerseys, diplomas, original artwork, or memorabilia, such as wedding vows, certificates, and baby blankets are not items that will last forever. It is not commonly known that most of your cherished items contain acidic content on their own, as well as other damaging oils from being handled over the years. Without the proper care, these items will yellow, tatter, and fade. With our Conservation Framing methods, however, they will be preserved for a lifetime! Every single component of your custom order will work to preserve your piece with 99% UV protection, as well as acid free, lignin free, and alkaline pH neutralized characteristics. Even if your keepsakes do not have monetary worth, remember that a price cannot be put on sentimental value. 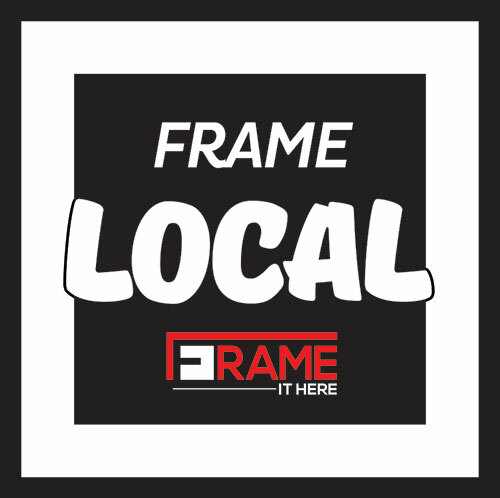 Stop by Frame It Here, conveniently located within Arthaus Projects, in the heart of downtown Williamsport. We are located at 140 West Fourth St., Williamsport, PA and are open Monday – Friday from 9:00 am – 6:00pm, and Saturday from 11:00 am – 6:00 pm. We have extended hours during First Friday and Spoken Word (second Friday of the month) and also offer hours by appointment. Please give us a call at 570-417-6737 and be sure to Frame It Here.